From this tutorial you’ll learn how to add WooCommerce product using WooCommerce Product JetElements module for Elementor. WooCommerce Product module can help you to display one custom product on your website page in a classy way. Product ID — fill in the product ID number in this field to display it using this module. Product SKU — input your product service identification code in this field to show the product using this module. 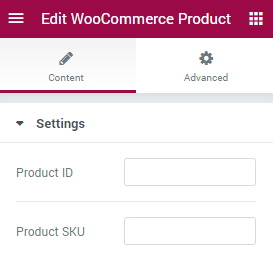 Before using WooCommerce Product module make sure that you’ve installed and activated WooCommerce plugin. In the case, you don’t know how to get the product ID or SKU, feel free to read How to Display Products Using Product ID and SKU tutorial.